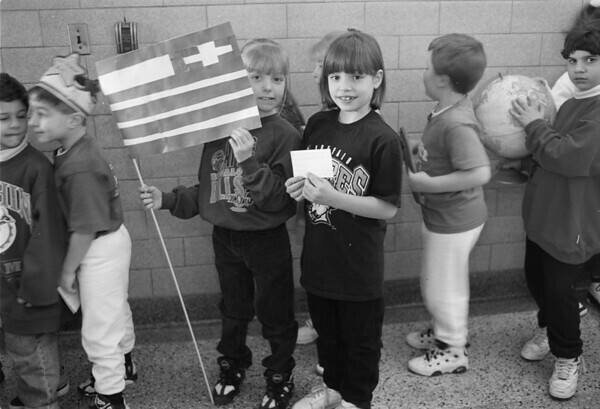 1/28/97-- catholic week 1-- Takaaki Iwabu photo-- Nicole Carr holds the flag of Greece as she and other students line up for the "parade of diveity" at Stendents of St. Joseph School Tuesday. The School celebrates its annual Catholic Schools Week with various events. Next to Carr is Caitlin Xenopoulos.